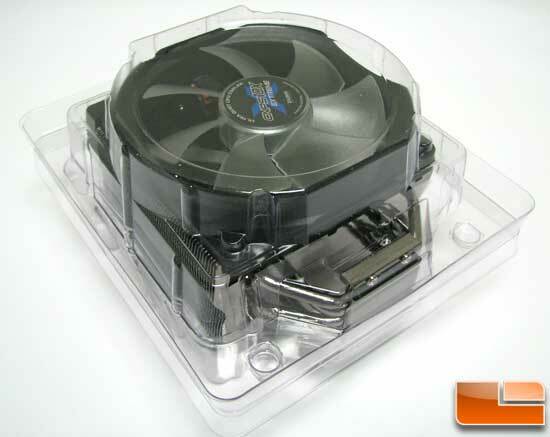 As an enthusiast, when you hear the name Zalman you have a good idea what the cooler will look like without even seeing it. 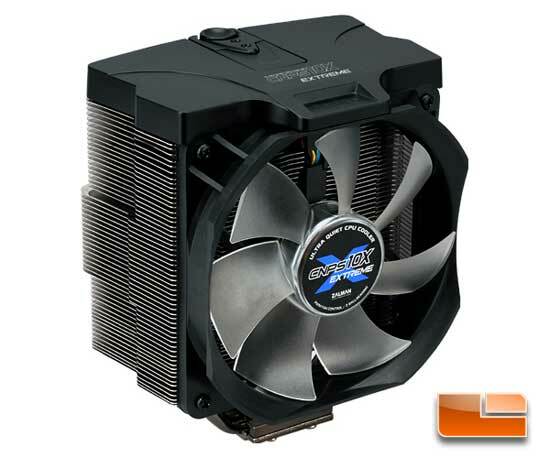 Since the late 90’s Zalman has been putting out quality coolers that not only perform well but have a look unlike the rest of the pack; tower coolers are all barrel shaped and the down draft coolers are round. Their coolers are almost always copper, with aluminum fins and a zinc coated copper here and there. 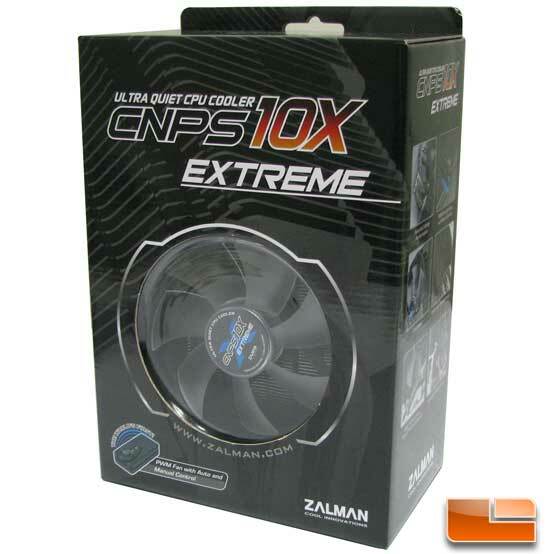 Now we get a look at one of Zalman’s newest offerings the CNPS 10X Extreme CPU Cooler. It’s a more traditional square upright tower cooler design, and like all of Zalman’s coolers, it looks good. Powerful Cooling Performance: Optimally designed aluminum fins disperse heat away from the CPU via 5 heatpipes, while the high capacity 120mm fan quickly cools the heatsink for stable operation of high performance CPUs. PWM Fan with Auto/Manual Control: Includes PWM Mate, the world’s first RPM controllable PWM fan speed controller, with the options of 3-Speed Auto or Manual Control Modes. PWM Mate can be installed on the case’s exterior by connecting with the included Extension Cable. Ultra Quiet 120mm Blue LED Fan: Switching noise is eliminated by the 120mm fan incorporated for ultra quiet operation and Blue LEDs for cool aesthetics. ‘Switching noise’ is the high frequency harmonic noise that can result from voltage regulation. Black-Pearl Nickel Plating: The entire heatsink of CNPS10X Extreme is “Black-Pearl” Nickel Plated for long-term corrosion resistance, while the deep “Black-Pearl” tone along with the high intensity Blue LEDs reinforce its powerful aesthetics. High Performance Super Thermal Grease ZM-STG2: The included all new high performance thermal grease ZM-STG2 maximizes heat transfer from the CPU to the base of CNPS10X Extreme for intensified cooling performance. Versatile Compatibility: CNPS10X Extreme accommodates a broad range of sockets: Intel LGA1156/1366/775 and AMD AM3/AM2+/AM2/754/939/940. The CNPS 10X Extreme comes in a nice looking package with all the specifications and features listed on the box. Inside the box the cooler is well protected in a plastic clam shell.